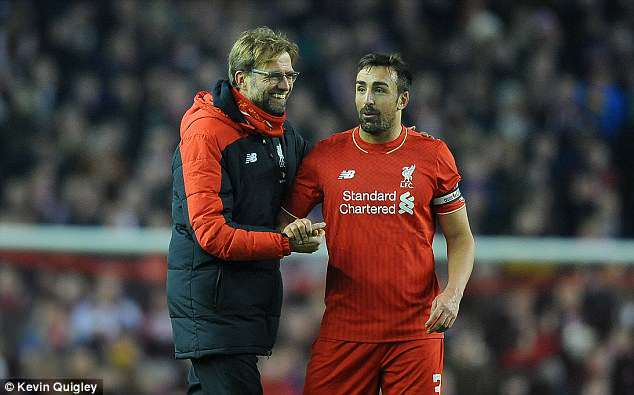 Former Liverpool defender Jose Enrique has revealed he is in recovery after needing surgery to remove a ‘rare brain tumour’. Enrique, 32, retired from football in 2017 and has been working for his brother’s scouting agency. But on Instagram on Saturday morning, the Spaniard explained why he had been quiet in the last month. ‘Sorry I haven’t been around much, it has been the toughest few weeks of my life,’ he began. 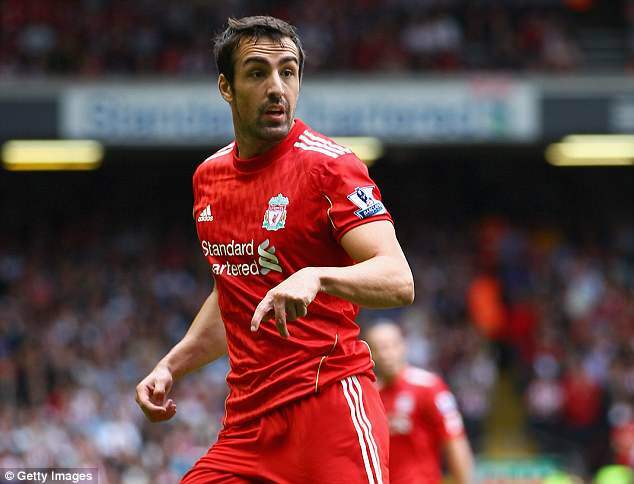 Enrique, who also played for the likes of Newcastle and Villarreal, has received widespread support from fans and colleagues following the announcement –including from some stars who are currently competing at the World Cup in Russia. Philippe Coutinho, Luis Suarez, Keylor Navas, Pepe Reina, Paulo Dybala and Federico Fazio all sent video messages to Enrique to wish him well and gives thanks to the medical services for the care they have given their friend. Speaking to Marca, Enrique revealed how the diagnosis came to light during a meeting with Brighton boss Chris Hughton. ‘We were meeting with Chris Hughton, coach of Brighton and who I had during my time at Newcastle, and that night I was beginning to get annoyed,’ he said. ‘I arrived at the hotel and I thought they were migraines. During the night I had a brutal headache. The next morning I started to have blurry (vision), then I started to see double, I had my eyes open and I saw double. ‘I had to go to the emergency room and after nine hours there I had a CT scan. The test indicated that I had a vein and I was sent to St. George’s Hospital in London immediately, which specialises in Neurology, and I spent two nights there. 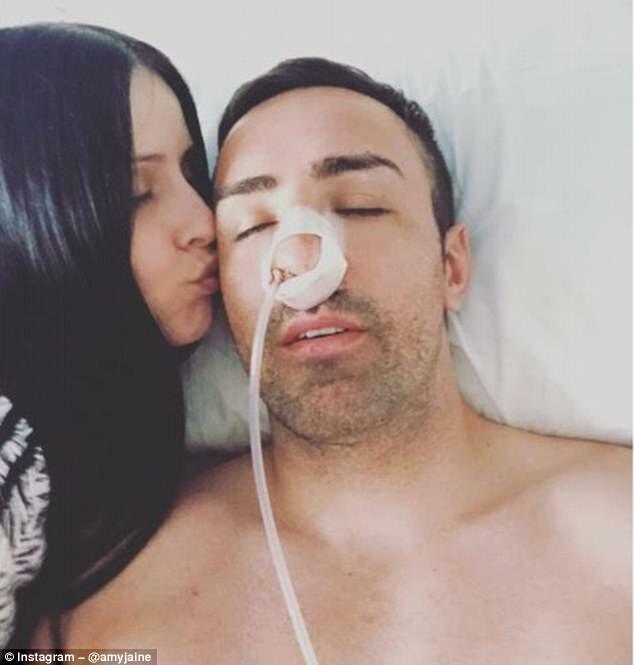 The rare tumour is located behind the eye but in a recovery photo with his girlfriend Amy Jaine at his bedside, Enrique provided fans with an encouraging update that he is on the long road to recovery. 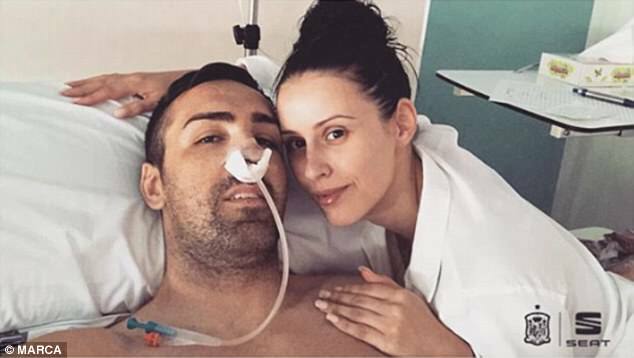 He was initially treated in London but once the diagnosis was known Enrique returned home to Valencia to have the tumour removed at La Fe hospital. He still needs further sessions of radiotherapy before making a full recovery. ‘There are only four machines in Europe,’ he told Marca. ‘My options are to go to Zurich or Paris. I have to have 35 sessions. It will take about a month and a half, but that is not important. I want to get well.